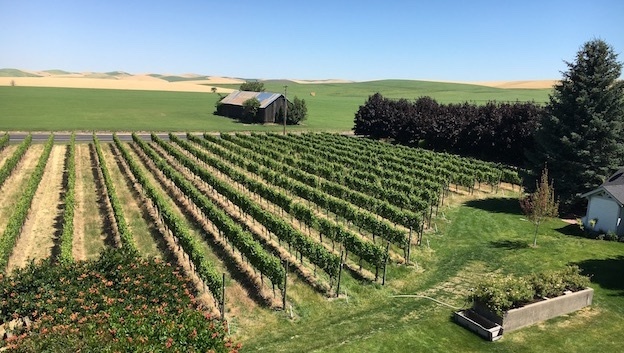 As desert-dwellers, Eastern Washington’s grape growers and the winemakers who love them have always had strategies for dealing with hot, dry weather. 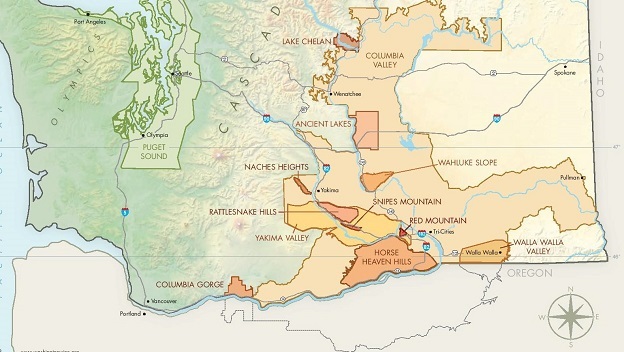 The Washington wine industry is built on irrigation, and its cleverest players have continually sought out less extreme sites to plant their vines—cooler expositions, higher elevations, more water-retentive soils—as well as dramatically improved their selections of clones and rootstocks to match their various sites. But the extreme heat in 2013, 2014 and 2015, with each growing season warmer than the last, required growers and makers alike to get much more creative with the vineyards that currently supply their fruit and with the way they handle their raw material when it reaches the winery. Following three years that were cool, downright chilly and moderate, respectively, the heat returned in 2013. The spring was actually cool and long, and the flowering was late, but the second half of July and the month of August were blistering hot. The harvest began in a rush under torrid conditions in early September, with most white varieties, Merlot and some Syrah often brought in with shriveled grapes and overripe flavors. But a sustained cool-down in the second half of September and early October allowed harvesters to take a break and let their fruit hang for better phenolic maturity, without potential alcohol levels going through the roof or natural acidity levels dropping precipitously. Two thousand fourteen was then a consistently hot growing season virtually from start to finish, breaking records for total heat accumulation in most growing areas in eastern Washington. Some growers pointed out that the vines were acclimated to the heat early on, and that there were fewer extreme heat spikes than in 2013, but others noted that sustained periods with temperatures in the low 90s, during which the vines continue to work and don’t quite reach the shut-down point, were more likely to result in overripe flavors, not to mention higher pHs. And, in general, there was more heat after veraison in 2014 than there had been the previous year. Washington went from the frying pan of 2014 to the fire in 2015, although most growers maintain that it was a healthy burn. The warmth arrived freakishly early, with Growing Degree Days (a measure of total heat accumulation based on the amount by which each day’s average temperature exceeds 50 degrees Fahrenheit) beginning in February. Bud break, flowering and harvest were all two to three weeks ahead of normal. Most growers had their earliest harvest starts ever, beginning in mid-August, and many finished by the end of September, which is also extremely rare in eastern Washington, where the harvest in cool years can stretch into November. There were long periods during the summer with temperatures in the mid to upper 90s in the warmer sites, and more 100+ days than in any previous year. As the vines tend to shut down when afternoon temperatures exceed 95 degrees, the stultifying heat actually extended the growing season a bit, and moderating temperatures in late August and September made the harvest less of a mad rush. One of the keys to the concentration, deep colors and style of the 2015 reds was the small size of the grapes, with the brutal heat of July particularly instrumental in suppressing berry size. It is clear that 2013, 2014 and 2015 all provided the raw materials to make outstanding wines, although 2015 appears to have been a tough year from which to make vibrant, balanced white wines in the warmest areas, and the early-picked varieties in 2013 offered distinctly mixed quality. Interestingly, growers’ opinions are split on the merits of 2013 and 2014. While the majority of the winemakers I tasted with this summer or communicated with in recent weeks admit that the 2014s are more likely to show roasted aromas or signs of dehydrated berries, many also say they prefer this vintage to 2013 for its greater ripeness combined with surprisingly good balancing acidity. A few reported that their 2013s are more likely to show overripe aromas. But it’s important to note that most winemakers do not feel that either of these years is characterized by excessive overripeness. And those who work high-altitude vineyards often consider both of these vintages to be relatively easy years. Chris Peterson, who makes the Passing Time wines as well as his own Avennia label, views the 2014s as “bigger wines, with sweeter fruit than the 2013s. The pHs were higher in 2013 but grape sugars were lower, and the vintage drinks cooler than 2014.” Bob Betz (Betz Family Vineyards) similarly described the 2013s as “more delicate, cerebral and sharply chiseled,” adding that the 2014s are richer and higher in dry extract. 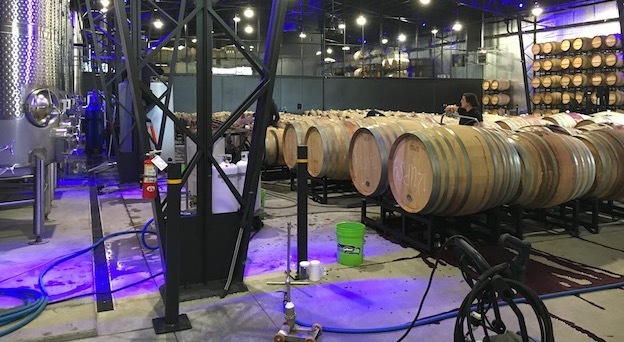 Ben Smith of Cadence noted that “the ‘13s have the acidity, thrust and structure to appeal to the Euro crowd.” But Brennon Leighton (B. Leighton, Sixto), believes that the phenolics are less mature and complex in the ‘13s than in the ‘14s. A majority of winemakers agree that the 2014s will show well earlier than the ‘13s. Following the record heat of 2015, growers had major fears about 2016, as an unusually warm winter and a toasty spring led to the earliest flowering in history. Heat accumulation figures at that point were well ahead of those of ’15, and many growers were resigned to starting their harvest in mid-August. 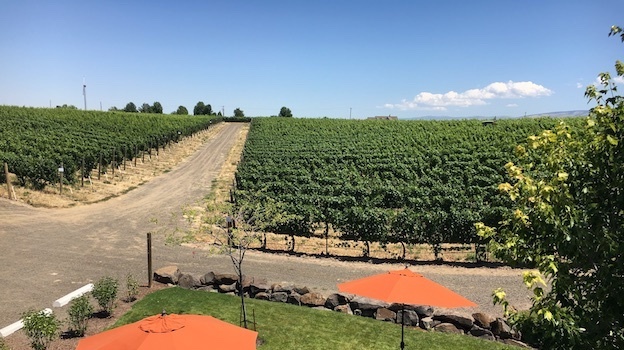 But there were a couple spells of temperate weather in mid-June and in July (not during my time in Walla Walla Valley, sadly), and conditions turned much more moderate in early August. The harvest began early but was long and leisurely, going on for six weeks or more for some producers and lasting through late October. The fruit enjoyed the benefits of long hang time without high potential alcohol or plunging acidity levels, and many growers are already quite excited about the vintage. Clearly, harvest conditions were much more favorable for white grapes than they were in 2015. I will give Billo Naravane (Rasa Vineyards, Echo Ridge Cellars) the last comprehensive word on how to make balanced wines in especially hot years in the desert. “In my opinion, in 2013, 2014 and 2015, proper vineyard management was absolutely essential,” he said, “and it was possible to make some terrific, well-balanced wines in all three vintages provided that appropriate steps were taken. For the vineyards that I consult for and for the vineyards from which we source fruit for Rasa, I closely track the heat unit summation until the end of June or mid-July. In the 2013 through 2015 vintages, since the heat summation was ahead of schedule we took aggressive steps to slow down the ripening. We kept a slightly higher fruit load than normal; instead of 2 tons per acre, we cropped at 2.3 to 2.5 tons, depending on the vigor of the site. And we reduced the overall canopy by 25% to 35%–fewer leaves equals less photosynthesis equals less sugar accumulation. We were careful not to leaf-strip too much in the fruit zone, in order to prevent sunburning of fruit. And we also kept the vines under a moderate level of water stress; in hotter years I don’t like high levels of water stress because a sudden heat spike may cause serious damage to the vines. Aryn Morell (Gard Vintners, Ardor Cellars, Mullan Road Cellars, Tenor Wines, Matthews Winery, Morell-Lawrence) told me he picks in waves. “We’ve decided that in the recent hot years, flavor development—or, more accurately, overdevelopment—was going to be harder to overcome during production if the grapes were picked at physiological maturity than it would be to pick with the ideal flavor profile based on the season and have the fruit be less physiologically mature.” He added that fruit from warm seasons is “going to show riper tendencies even if it’s picked slightly earlier” and he worries that too many of his colleagues in the recent hot years “don’t think the flavor or the phenolic maturity is quite there, so they wait. But in many cases, in hot, fast growing seasons the fruit will never really have enough time to achieve ideal physiological maturity anyway.” He believes that he can pick slightly earlier and still have “the best chance for aromatic complexity and youthfully fresh fruit,” because his new winery facility and equipment lets him manage the slightly more aggressive tannin profile that his fruit begins with. Timely harvesting is also critical in the hot years, and is facilitated by smaller-lot fermentations. Clearly, very selective picking to avoid desiccated clusters, careful elimination of raisined fruit in the winery, and declassification of overripe lots can make the difference between producing wines with a roasted character and those with fresh aromas and flavors. If it’s necessary to harvest when the weather is still hot, many growers and wineries pick very early in the morning, when the grapes are still reasonably cool. And of course, steps taken throughout the growing season to slow down the ripening process can also alleviate the logistical challenges posed by compressed harvests and reduce the likelihood that normally early-ripening varieties will need to be picked under uncomfortably warm conditions at the end of August or in early September. 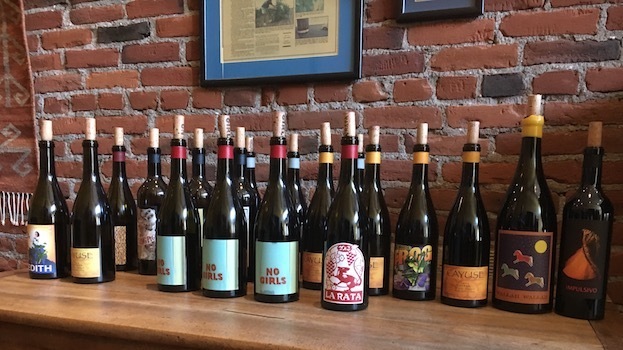 The wines in this article were tasted in Washington during the last week of June and the last week of July, and in extensive subsequent tastings (and retastings) in New York from late September through early November.